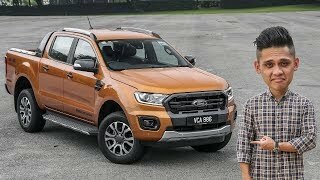 The new Ford Ranger is finally here. Unlike the old compact model that was killed off in 2011, this one is a true mid-sized truck that’s ready to tote your toys. 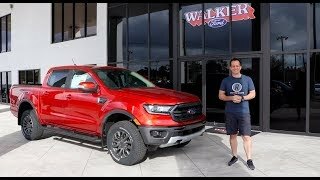 Tom Voelk drives on and off road at the press launch in San Diego, California and finds the version we get in North America is quite different than the Ranger sold globally. Like this video? Feel free to subscribe or contribute to my gear fund. Or both! 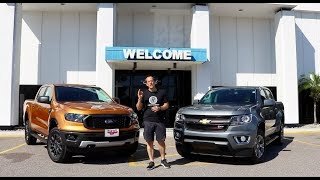 I had to buy Trucks for my business. 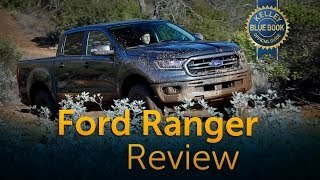 I wasn't impressed with the Ranger. O, here we go again, the pride of Ford dealerships (correction, "stores"). The infamous F-150. Fix-Or-Repair-Daily has a lousy idea. 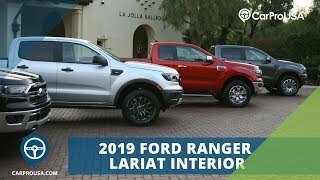 Bring us the Ranger Raptor now! And with either the 2.7L EcoBoost V6 or the 3.2L 4cyl turbocharged diesel engine. Got this truck right now, loving it! Unless a test driver gave this Ranger a significant front-end bang earlier in the day, watch the video at 10:23-10:24 as the bumper overbites the fender. 4-door with 6’ box is essential. 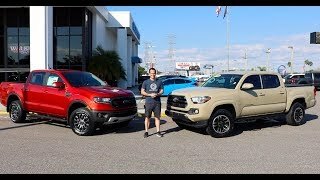 Until they do this I will stick with Tacoma. Like the interior,but hard to believe they left out cooled seats. 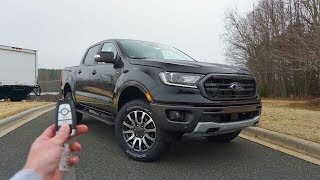 Why didn’t you put the 2.7L ecoboost V-6 in it?! Seriously, my grandma’s Edge SUV has it. It should be in this pickup truck! Why are the bed sides so high? Why 18 gallon fuel tank, when the Tacoma has 21? Why the 2.3 when the 2.7 would work less and get better than 26mpg 2x4 which is what the F150 gets with that motor? Why no power outlet in the bed without a bed liner? 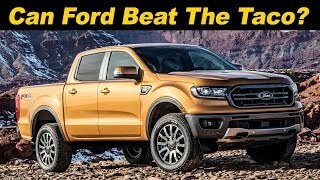 Why no flat load floor in the second row like the F150? Why no 60/40 bench with rotary drive shift? Why no locking storage in the cab of the truck? Why the tailgate doesn’t automatically lock and unlock with the doors? Why no second auxiliary battery option to support more power charging options in the cab and in the bed? Why no 8” wide wheels to fit beefier tire packages on factory looking wheels? Why no real out of the box thinking like an integrated trickle charging solar panel built into the roof? Enough to keep a bed cooler going, interior cab heat/air conditioning and a laptop when the truck is off. 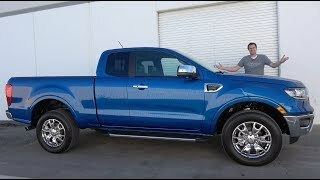 Where is this truck made?? I cant believe no damper for tail gate and no power rear slider window.They have some refining to do .I think I will wait a year. 5 foot bed = 5 Subway sandwiches length..yeah..that's how short it is. So how does the pipes in sound work - it is able to actuate the speakers with the audio system turned off? Does the noise increase when the audio system volume is turned up? Are R&D $ being spent on adding fake noise? - to many R &D dollars laying around and they already solved all their engineering challenged? Really? the brakes had a bad "shimmy" when you applied the brakes. one or more (not given the best info) rotors had to be turned/trued. Most of the shimmy gone, but I still feel some. At take off you can feel a "shudder", vibration (whatever), but it balances out after you get going. The back seat backrest wont latch so it flops around some when you apply the brakes. The seats are embarrassing, but I work at a plant that manufactures seats for the automotive industry so I am picky. These seats, nor most I have seen in videos and pictures would not make it out of our plant. The foam doesnt fill out the leather well, at work we tried to massage it into place but it is still baggy, and wrinkled looking. I dont really use lane departure, I find it annoying, but compared to my last truck it doesnt alert you much. Very slight notice in the steering wheel. My last truck you could feel it in the wheel, and the seat would rumble. on the positive side, it looks awesome! For a small truck it rides well, and I am coming out of full sized pick ups, so that is saying a lot. Handles very well, and that little 4 banger will pick the truck up and move it quick. For the price I think they could have done more inside. Maybe more soft touch on the doors? Aside from that and the seats I love the interior of my Lariat. The adaptive cruise control rocks. 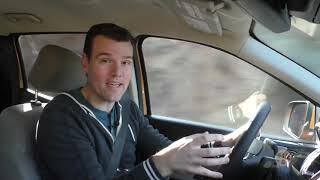 I use cruise control a lot, and get annoyed when I have to come out of it for traffic. This thing takes care of that. Even switched lanes to much slower traffic to see what it would do. It keeps distance, and will slow you down quickly lol. Toyota's crawl control isn't really setup to be used in conditions that simple. 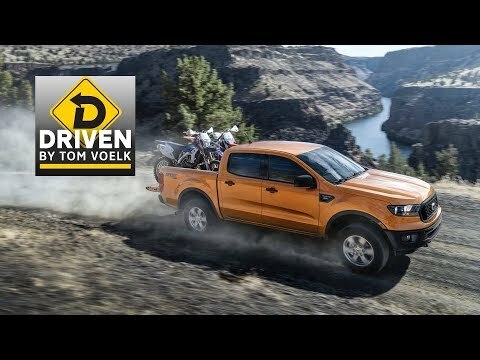 And I always laugh at complaints that "it drives like a truck." Duh... it's a truck! That said, I'm glad to see Ranger come to market. I hope it adds real competition to the segment, because competition means consumers win. 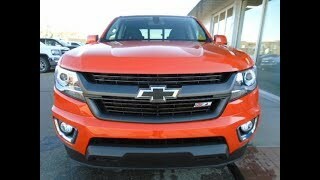 Since Ford and Chevy brought back the mid-size does that mean Dodge is brining back the Dakota? They are supposed to make the next Dakota out of the new Jeep Gladiator. 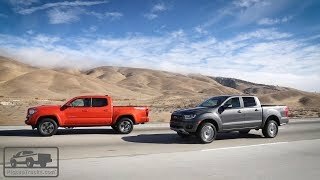 Do you recall how it drives compared to a full size f150? Other parts of the world have a raptor option. Does this mean there is a model upgrade coming in the next couple of years? 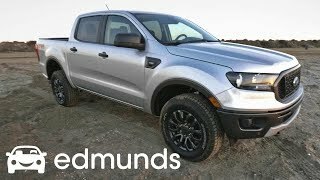 A few days ago I actually had a chance to see one of these "new" Ford Rangers. The manager even agreed to a limited test drive, which never exceeded 30 mph and distance was less than 2 miles. It was a 4-door model, black color with black interior, 2.3 Litre Turbo engine w/10 speed gearbox and very little else. After going over the interior features (or lack of), power train and suspension, reviewing brochures, and dealing with a sales person who knew nothing about the vehicle, money was discussed, along with expected order times. The end result was that I was VERY, VERY, VERY DISAPPOINTED !!! 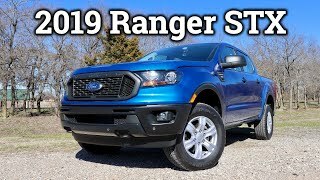 Don't get me wrong, I'm an original owner of a 97 Ranger and I'm very happy with the service it has given over the years, but I wanted a newer vehicle with new features. But the 4-cylinder 2.3 litre engine needs every one of the 10 gears to get around, the turbo never did kick in so power was very low, sloppy handling around corners and over rough surfaces, lack of creature comforts, poor fit and finish, excessive drive train and wind noise, a 13 week order time and a very high out-the door price all contributed to the disappointment. Since then, I have purchased a 2019 GMC Canyon, V6 power and 8-speed automatic, leather trimmed interior and fancy features all over the place AND a trailer-towing package, for an out-the-door price $721.00 less than the "new" Ranger. 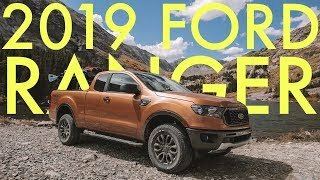 Yes, sometime down the road Ford might get it's act together and produce a vehicle almost as good as the competition, but for now, it seems the competition is blowing the "new" Ranger right out of the water. 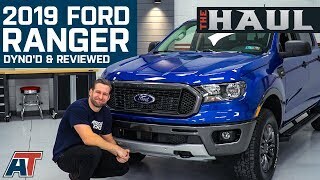 2019 Ford Ranger FX4 - First Walkaround!